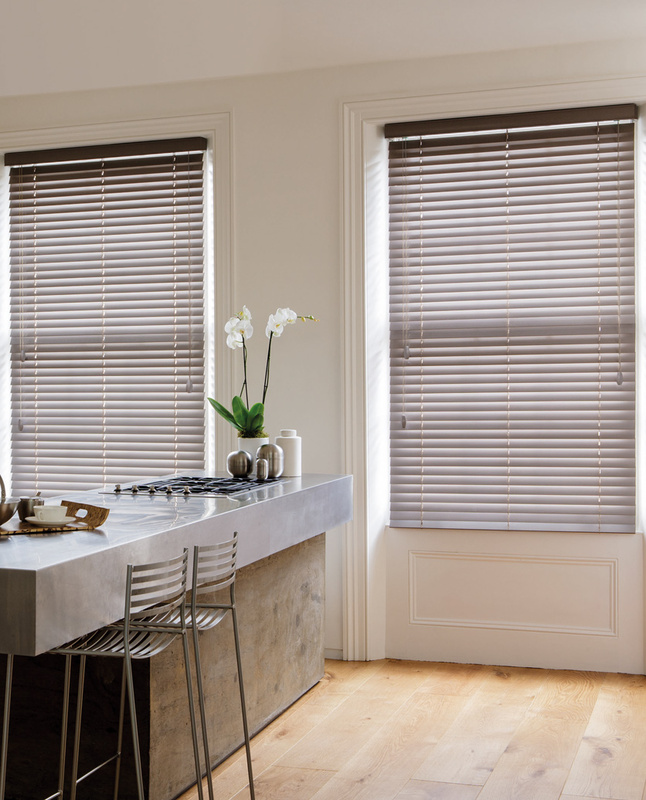 Wood Blinds offer great functionality, light control and privacy in a variety of finishes. Decorative tapes can add a nice design element to a wood blind. Wood Blinds are great for every room in the house.They can add to any decor from modern to traditional. We carry multiple brands of Wood Blinds to offer the best assortment of finishes and options. Nothing compares to the warmth of real wood blinds on your windows. Find beautiful stains and long-lasting finishes that lend a cozy comfort to your home. Get the look and functionality of shutters at a quarter of the cost. 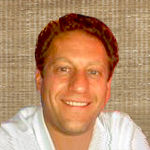 Slats come in sizes of 2 1/2" and 3 1/2". 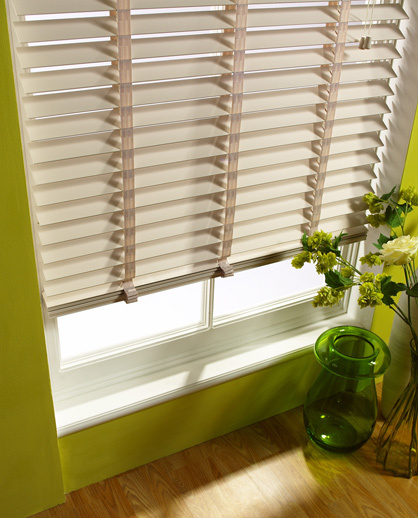 Quality Wood Blinds are made of basswood which is a very stable and lightweight material ideal for thin slats. 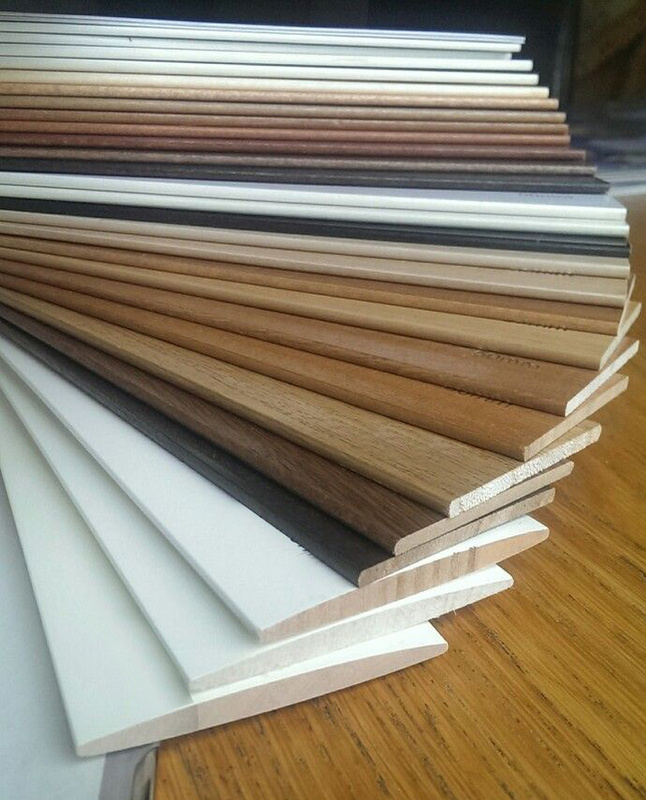 The big advantage to wood versus faux wood, (which are the composite equivalent) is that real wood is much lighter in weight and can be used on larger window openings in a single blind. Also there are dozens more stain finishes in real wood which makes matching your window casings and furnishings much more possible.